Processing time ( Within 5 Business Days ). After the full payment received. Order will be processed within 5 Business Days to Send, Except Saturday, Holidays and Festivals. 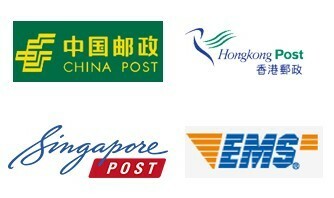 ePacket, China Post Registered Air Mail, Hongkong Post, China Post Flat Mail, By Sea and other Standard Shipping (accoding to different country to choice one of them). a). Europe and the United States major countries, Japan and Singepore 5 to 35 days (accoding to different country and season, the delivered time is different). b). Other countries 20 to 90 days (accoding to different country and season, the delivered time is different). UPS, Dhl, FedEx, TNT, EMS, Aramex, SF-Express, DPD and other faster express (accoding to different country to choice one of them). a). Europe and the United States major countries, Japan and Singepore 3 to 5 Working Days (accoding to different country and season, the delivered time is different). b). Other countries 5 to 10 Working Days (accoding to different country and season, the delivered time is different). Packages are generally dispatched within 5 Working days after receipt of payment and are shipped with tracking number. 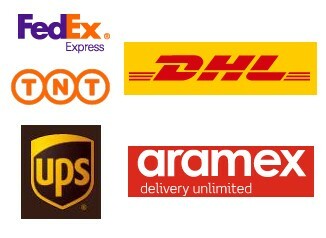 Whichever shipment choice you make, we will provide you with a link to track your package online. Whereas transport fees vary according to total weight of the shipment. We advise you to group your items in one order. We cannot group two distinct orders placed separately, and shipping fees will apply to each of them. Your package will be dispatched at your own risk, but special care is taken to protect fragile objects.